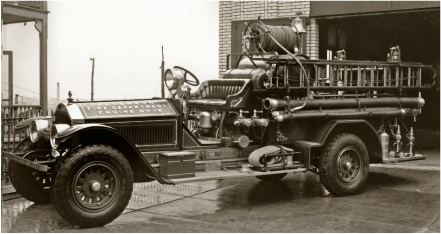 ​Mack Trucks produced fire apparatus from 1911 until 1990. 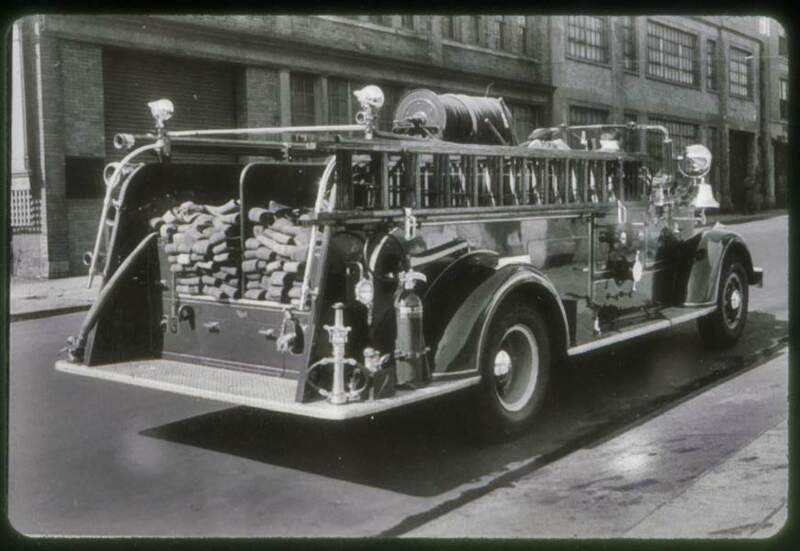 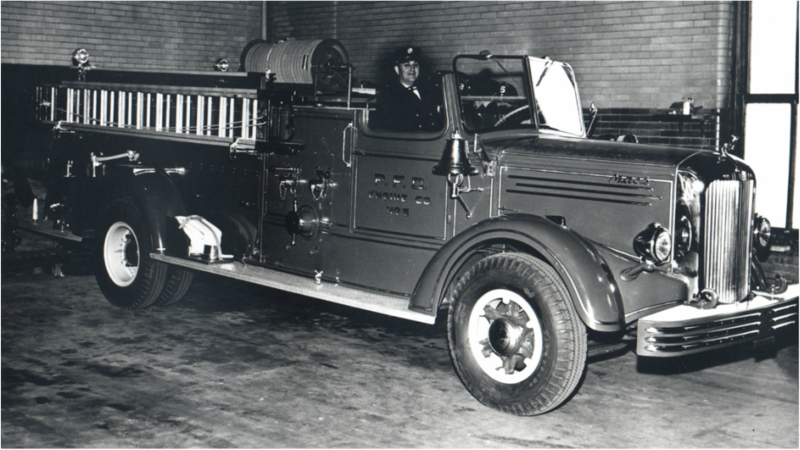 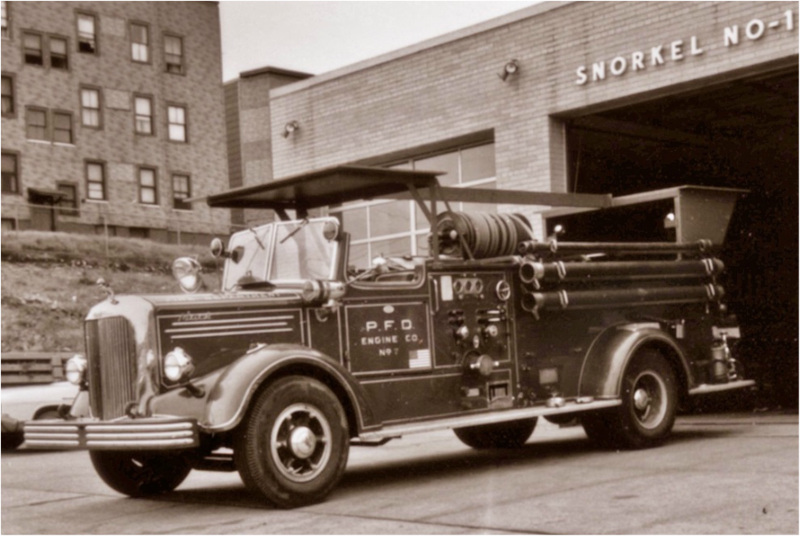 The L Series of Mack fire trucks, of which our featured fire truck is a part of, were produced between 1940 and 1956. 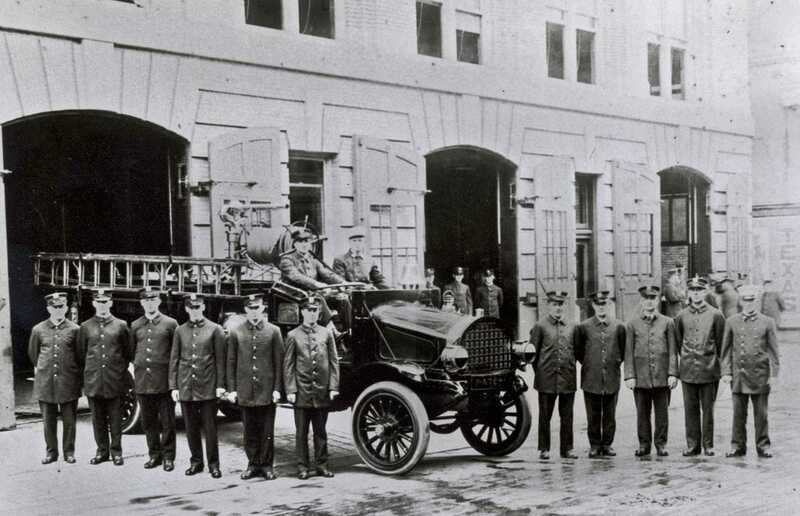 1915: Both Engine Company 1 and 5, located at 115 Van Houten Street Fire Headquarters, received Mack Combination Chemical and Hose Wagons to replace their Sampson Auto Chassis Hose Wagons. 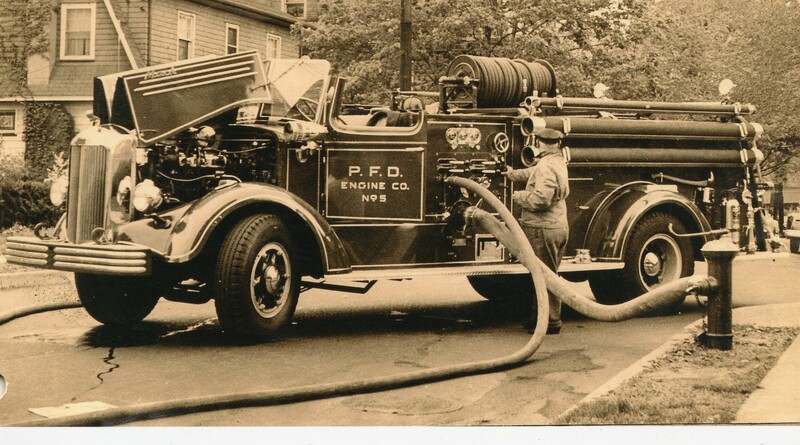 E5 Mack in photo below at unknown fire scene. 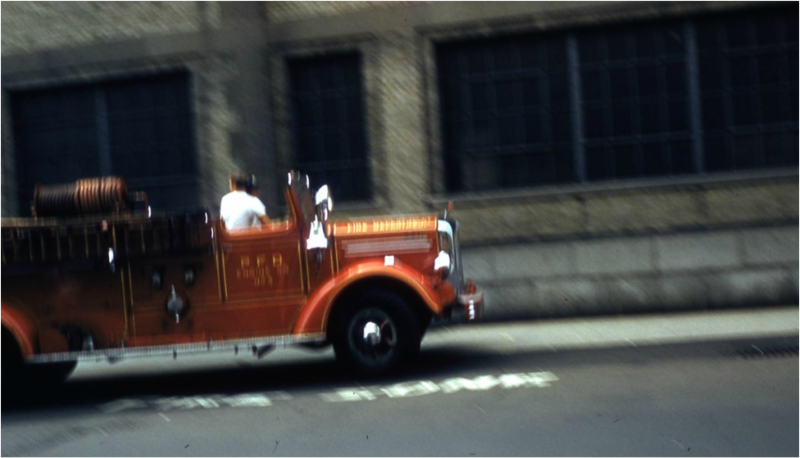 To the extreme left is a glimpse of the rear of the other 1948 Mack pumper - Depending on date of photo that could be E12 or E1. 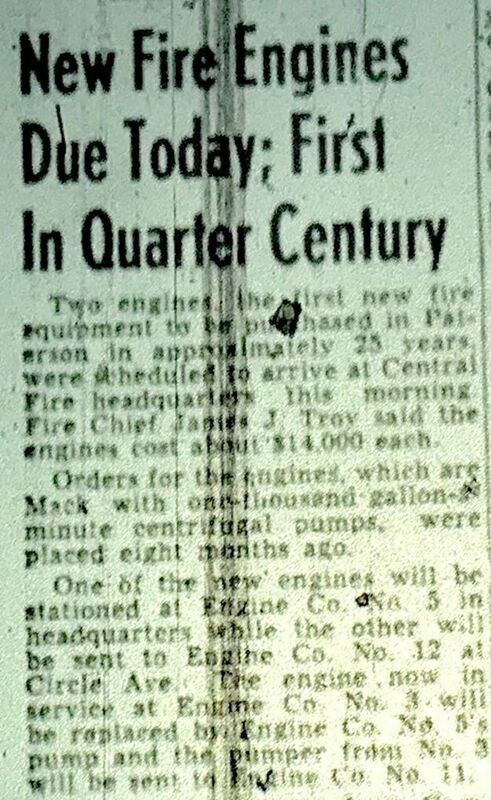 January 23, 1958: 1948 Mack Model 95 1000 GPM pumper formerly used by Engine Company 1 replaced the Ahrens Fox that had been used by E 7 at the Gould Avenue Firehouse since 1931 (at left). 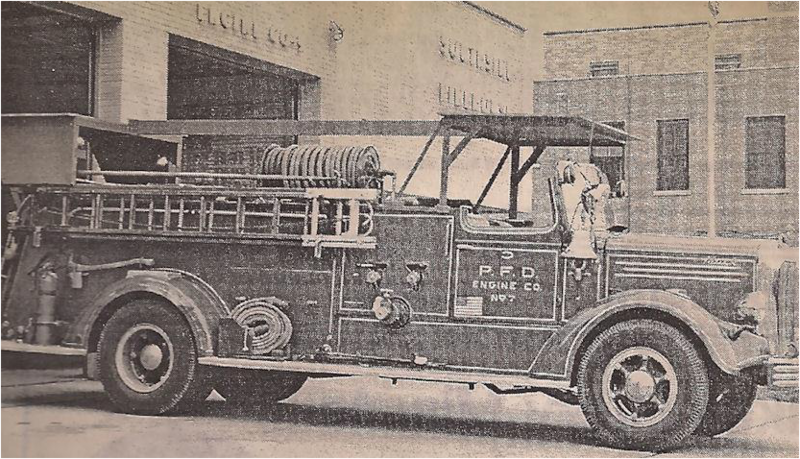 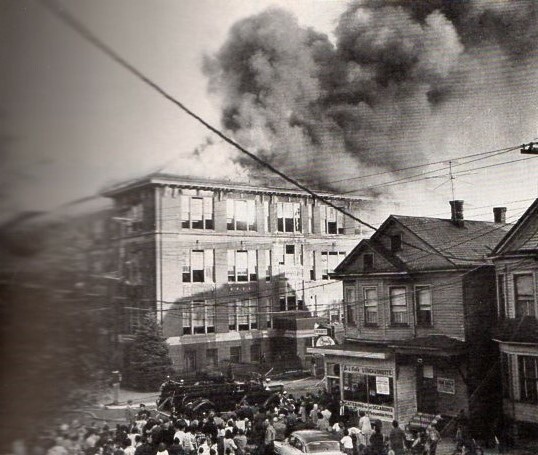 The Mack is seen below at Southside Firehouse on Getty Avenue (company moved there in 1962). 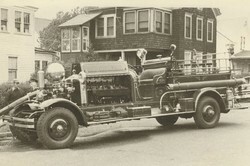 The Mack became a spare pumper used by Engine Company 7 after the arrival of the 1965 FWD Pittman Snorkel put in service Engine 7. 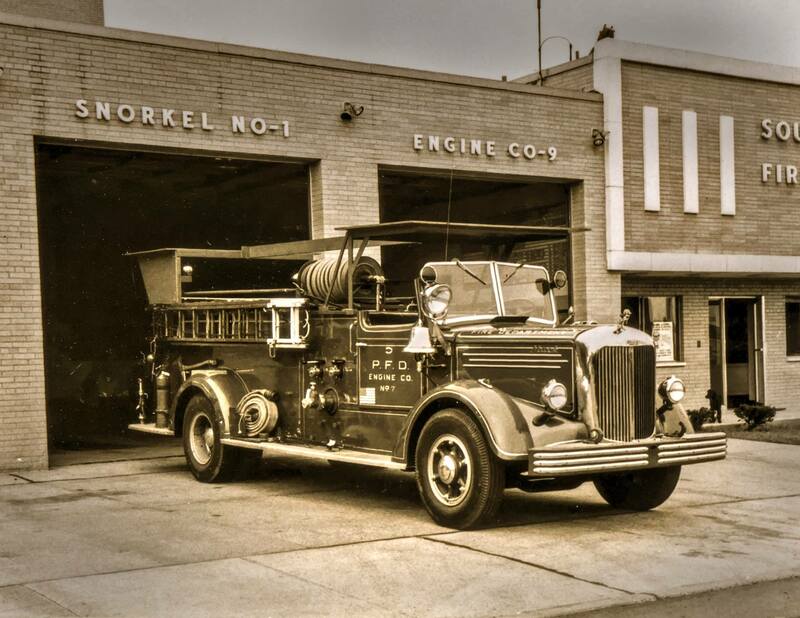 However due to frquent mechanical problems with the Snorkel, the Mack still saw plenty of action. 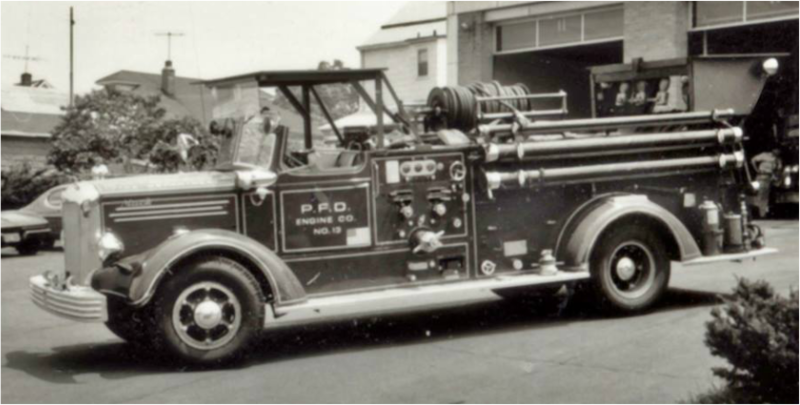 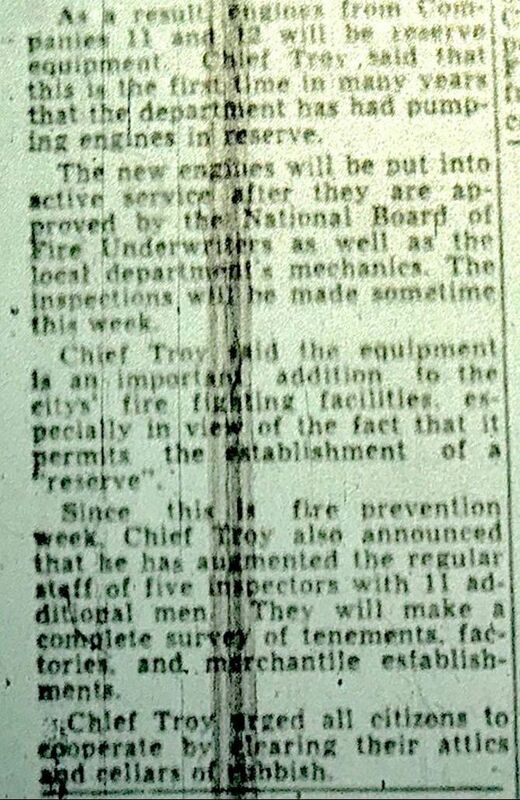 Note addition of windshield flashing lights to the pumper and also plywood riot roofs added which were added to all PFD apparatus in 1968. 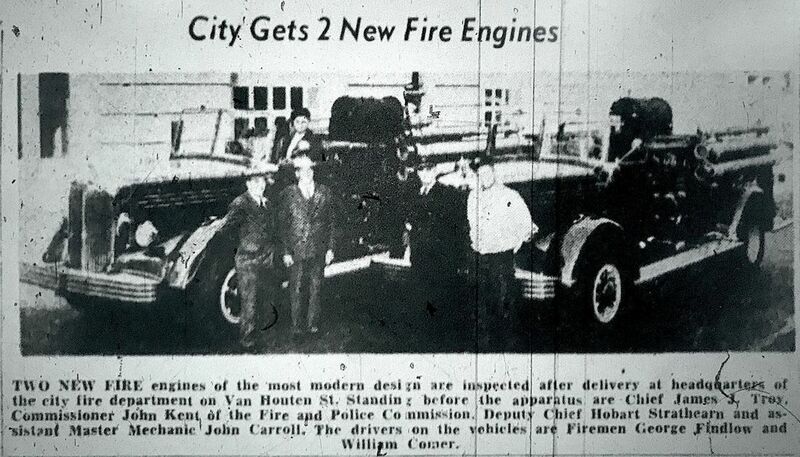 January 23, 1958: Engine Company 13, then located at 23rd Avenue firehouse had its 1928 Ahrens Fox pumper (at right) replaced by the 1948 Mack Model 95 1000 GPM Triple Combination pumper formerly used by Engine Company. 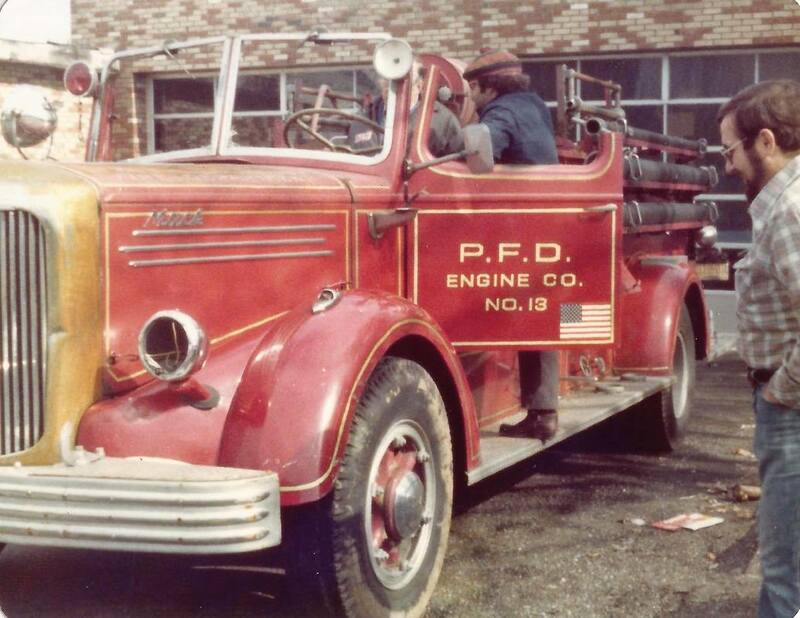 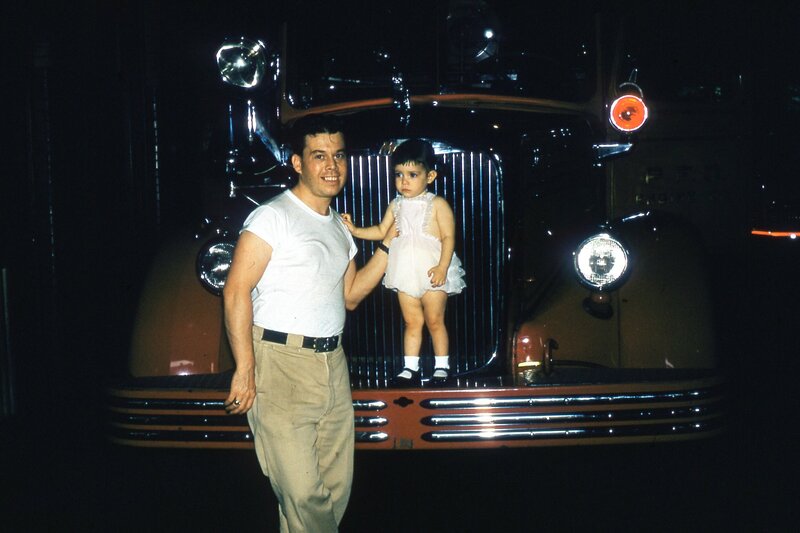 ​In 1962, Engine 13 (with the Mack Pumper) relocated to the Lakeview Firehouse on Trenton Avenue. 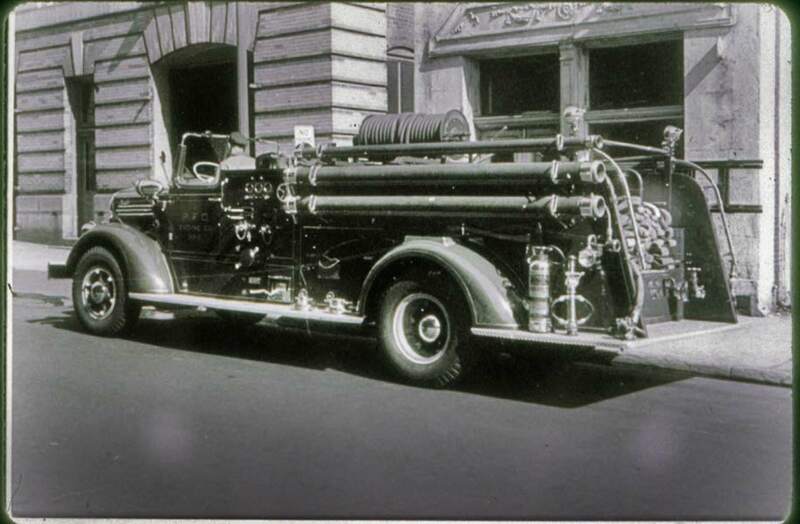 Shown below in its bay in a 1968 Ball Book photo before riot roof installed in 1968. 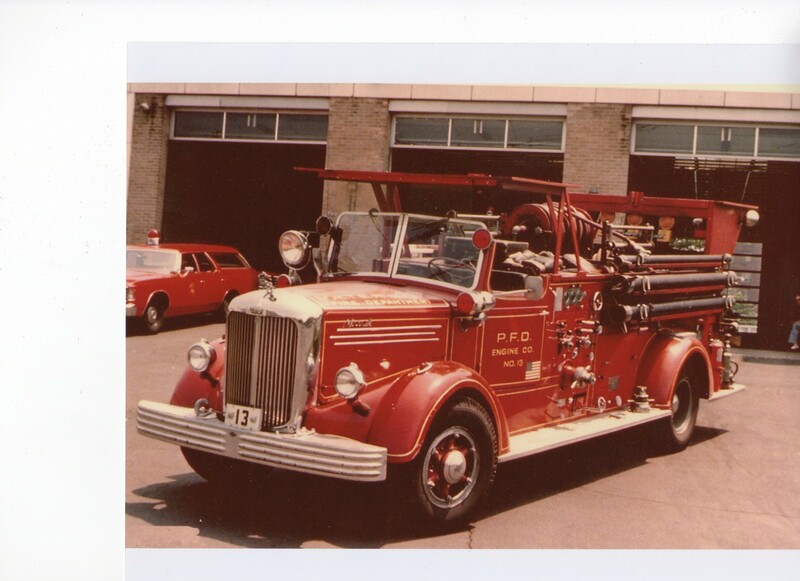 Parked to the rear is Paterson's other 1948 Mack (Engine 7).